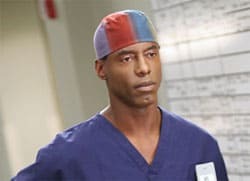 Actor Isaiah Washington, still under fire for the anti-gay slurs he made toward castmate T.R. Knight, met Monday with GLAAD president Neil Giuliano, and Kevin Jennings, founder and executive director of GLSEN. The three reportedly discussed the possibility of an “ongoing partnership to combat prejudice and intolerance” directed at the gay and lesbian community, according to a press release issued by GLAAD. The two groups say they expect to meet again with Washington in the coming weeks to begin implementing their work together. It is now ABC’s turn to step up to the plate and demonstrate that they have zero tolerance for anti-gay bigotry by firing Washington. Imho this whole episode has dragged out way too long. Let’s hope there is some more definitive action from ABC soon.